Hello, readers! 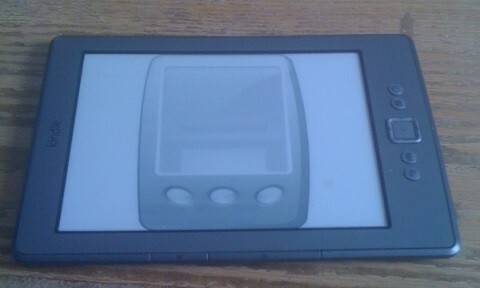 For the last two posts, I’ve discussed how I feel about one e-reader, the Kindle: my love and its diminishment. Well, today, I’ve going to discuss a category I hinted at in Part II: the role of book covers in how we feel about what we read. In a way, I feel like I’m betraying the text in doing this—I think of myself as a person to whom content matters, not image. Yet that is part of why I was somewhat surprised by my feeling that books seemed more generic in e-form than enclosed in covers dedicated to them. Analyzing the reasons for my surprise is, hey, part of the meta this blog is dedicated to. Often, Kindle covers mirror those of the paper book. 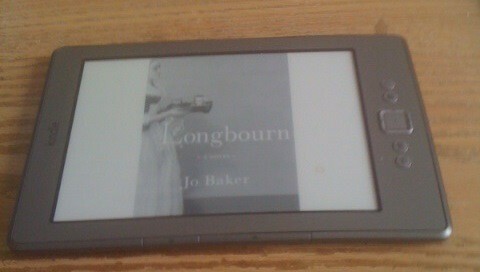 See for example, the two pictures snapped-from-my-own-Kindle covers of Jo Baker’s novel Longbourn and W.J.T. 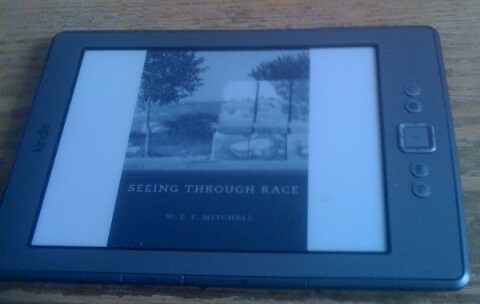 Mitchell’s Seeing Through Race. (They are ghostly given Kindle’s limited palette, so I show the printed book cover image as well.) Covers, of course, often give a nice visual symbol of the inside. 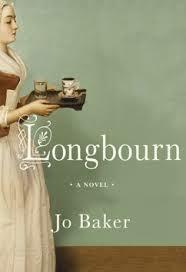 Baker’s retelling of the events of Jane Austen’s Pride and Prejudice through the eyes of the servants—a telling of their story, rather than that of Elizabeth and Darcy—is well represented by the stilted, partial view of a serving woman pictured just at the moment of walking into our view. 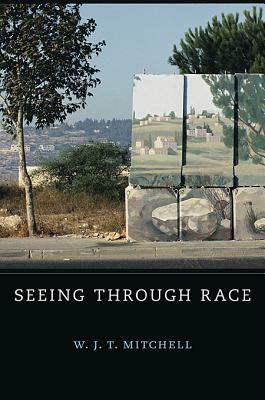 Mitchell’s idea of race as a medium seen through, and his larger discussion of the role of media and frames in determining what we see, is nicely captured by a photograph that causes viewers to, well, use intervening media to see what might not be seen without it. But my re-picking up a Kindle has also led me to realize that an increasing number of e-books are opting for generic covers. 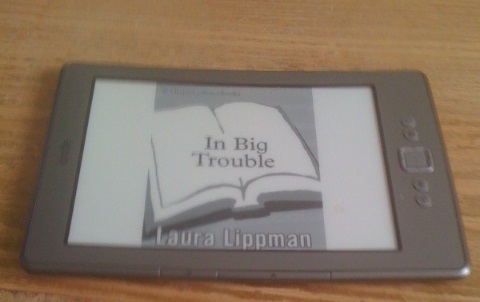 See, for example, the cover of Laura Lippman’s mystery novel In Big Trouble, which seems to have been chosen to get across the idea that this is a, well, generic book. A cover like this doesn’t do justice to Lippman’s nicely individuated detective series, which is replete with vivid cultural detail about Baltimore and a feisty heroine who lives in the upper level of a bookstore (how’s that for symbolism! ), and sculls on the Patapsco (http://www.lauralippman.com/). Even so, In Big Trouble’s here-I-am-a-generic-book-cover has nothing on my download of Mary Seacole’s 19th-century autobiography The Adventures of Mrs. Seacole in Many Lands, which is almost horrifyingly generic. 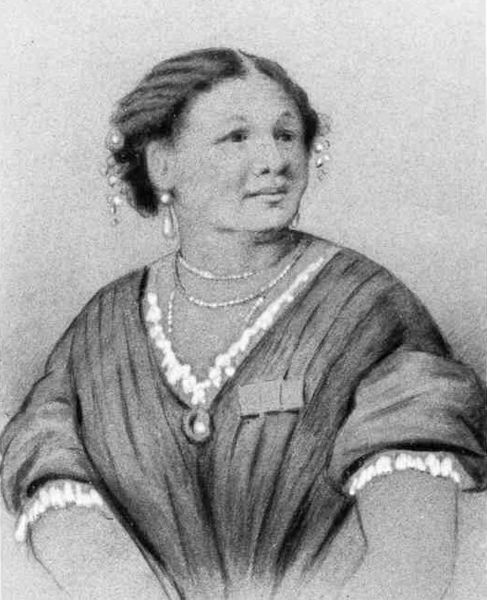 Indeed, I find the obliteration of Mrs. Seacole herself in favor of a mobile phone almost shocking. (Probably because in my dissertation life I work a lot with nineteenth-century slavery in the Caribbean and its related ideas of the circulation of people-as-commodities, as slaves were. When I first saw this cover I nearly fell over at what seemed to be an inadvertent symbolism—the mixed-race Mrs. Seacole as part of the circuits of exchange, just as a telephone would be.) To be fair, this is from the bibliophile and student’s friend, Project Gutenberg, (http://www.gutenberg.org), which allows downloads of many a free e-book. The cover is probably intended to represent the circulation of an e-book, not Mrs. Seacole. Still. Wouldn’t the drawing of her been a nice cover? Where am I now with my Kindle? A fondness, not a love. 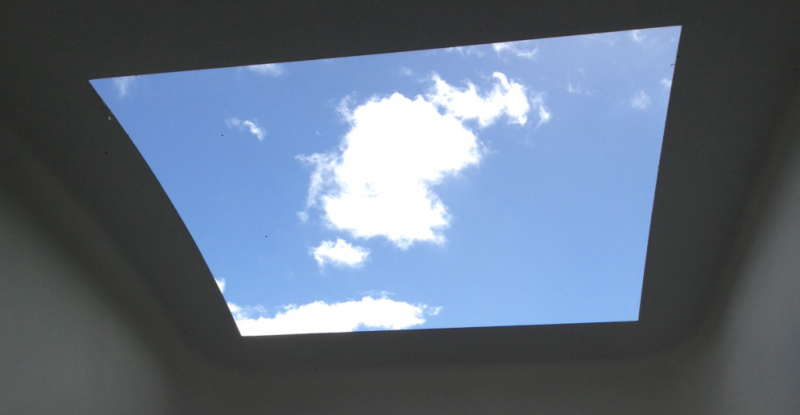 It is convenient and wonderfully so. But it doesn’t contain the whole reading experience. For that, I still want physical pages, discrete objects, and covers. I think my love, its cooling, and its partial reinstatement are representative of where we are now with the history of the book and digital humanities. No question that the digital humanities are a wonderful resource for many things: keeping vulnerable treasures intact in virtual form (old books, old scrolls and so forth) and enabling unprecedented access come to mind. But remember, physical books are also a technology for carrying knowledge. One that has worked for a very long time. The power of the physical book is not going away any time soon. Its younger sibling, the e-book, stands with it in a row of empowering technologies for spreading the word.